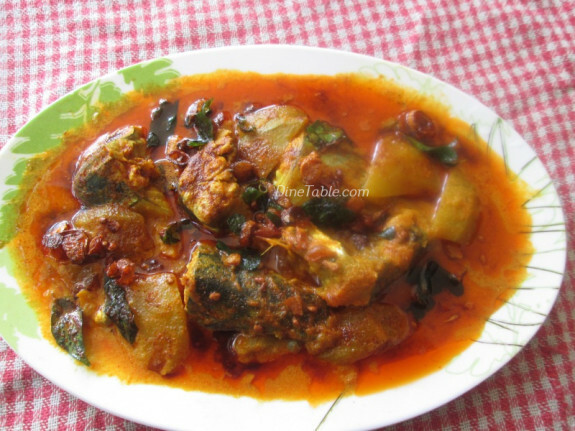 Ayala Fish Raw Mango Curry Recipe | അയല മീൻ കറി is a popular and common fish curry recipe of Kerala. 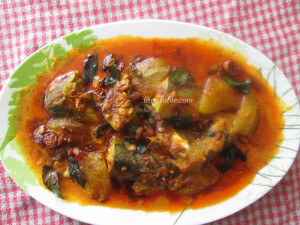 Ayala (mackerel) is a commonly available fish in Kerala. Here I am substitute mangoes for tamarind, as it is the season of mangoes. 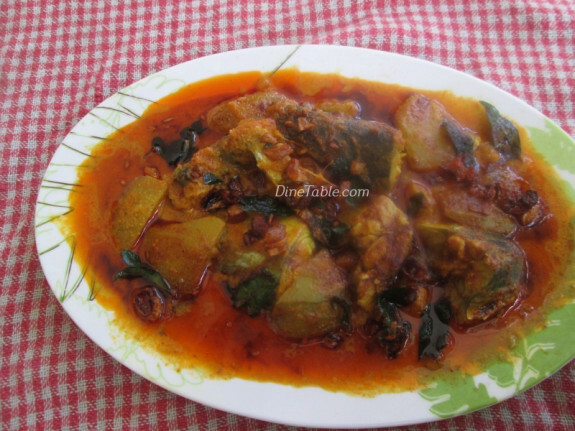 It is a delicious and spicy Kerala style fish curry. It is prepared in coconut milk. 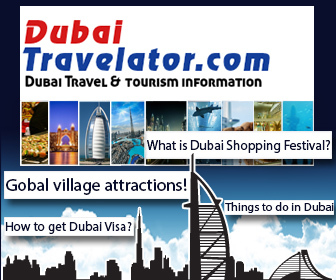 Raw mangoes are added instead of tamarind which gives an extraordinary taste for the curry. Clay pots or earthern pots are preferred for making traditional style of fish curries which gives a nice aroma and taste. Hope you all try this tasty and delicious Ayala Fish Raw Mango Curry Recipe | അയല മീൻ കറി. Try and enjoy. 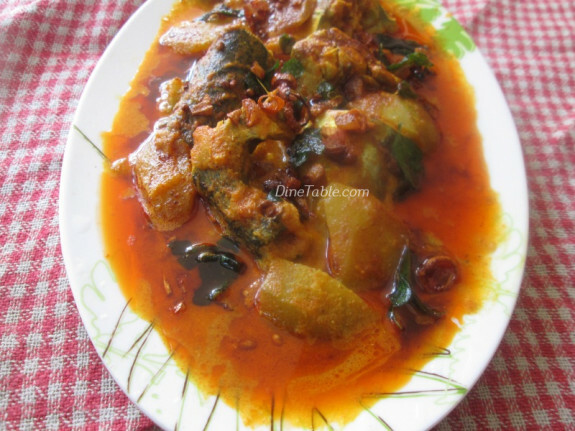 Click here for other tasty Kerala Style Fish Curry. Clean and cut the fish in to pieces and keep aside. Add the grated coconut and 2 cups of water in a mixer and blend. Strain the coconut and take milk from it. keep aside. Take a kadai or earthen pot, pour the coconut milk into the kadai and add chilly powder, turmeric powder, chopped ginger, curry leaves, slitted green chilies and mix well. Keep the earthen pot on a medium flame and allow to boil for 5 minutes. Stir occasionally. 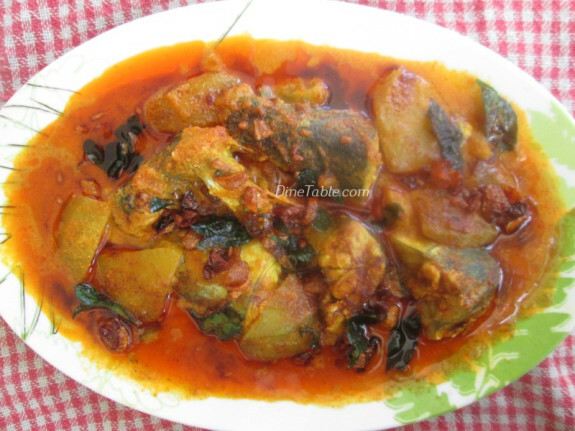 After 5 minutes add fish pieces, salt and sliced raw mangoes and close the kadai with a lid. Cook in a medium flame till the fish are cooked and the gravy thickens. Heat another pan and add 4 tsp of coconut oil, sliced shallots, curry leaves and saute till it become light brown. Pour this to the curry. Switch off the flame. 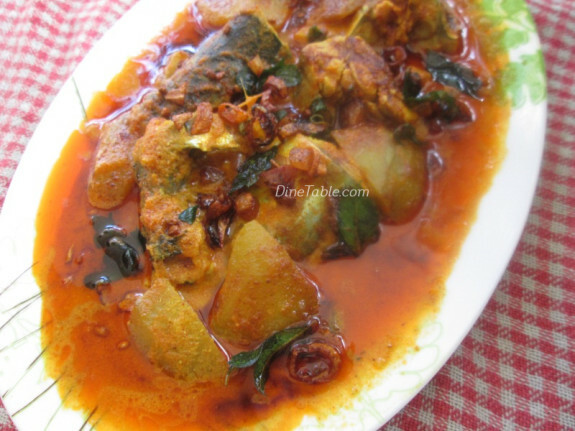 Tasty Ayala Fish Curry With Raw Mango is ready.